Have You Been Injured in an Aviation Accident? We Can Help. The National Transportation Safety Board (NTSB) recently reported that the two planes that collided midair on July 17 converged nearly straight on. The in-air collision resulted in the deaths of four people and both were owned by Dean International Flight School. The Cessna 172N and Piper PA-34-200 Seneca Twin were based out of the Miami Executive Airport. A private pilot was flying the twin and had a pilot examiner on board, and a student pilot was flying the other plane with a flight instructor passenger. The NTSB and FAA show that this is the third fatal crash on record since 2013 for the flight school. Robert Dean, the owner of the flight school, says he will be closing down the school. There are about 200 students enrolled at the school, with most of them being from India, Saudi Arabia, and Latin America. It has been operating since 1995. Commercial aviation accidents are some of the most tragic and high-profile accidents. The dilemma with commercial airplane accidents is that so many deaths result when an airplane crash occurs. For example, a commercial airline crashed in 2005 over Venezuela and the one crash resulted in the death of eight crew members and over 150 passengers. The accident was due to mechanical issues with both engines. When aviation accidents occur, lawsuits regarding negligence of the responsible party typically arise. These court cases can include personal injury lawsuits as well as wrongful death suits. The cases are often high-profile and extremely complicated, making it imperative that you have an experienced personal injury attorney on your side. Over the last 50 years, records show that pilot errors have been the most common cause of major aviation accidents. Mechanical failures come next. Airplane crashes that don’t involve a commercial plane or airline are typically patterned after car accidents when it comes to lawsuits. However, commercial airplanes and airlines are held to a higher standard of care. If an aviation crash involves a commercial airline, the right to file a lawsuit depends on whether the flight is international or domestic. 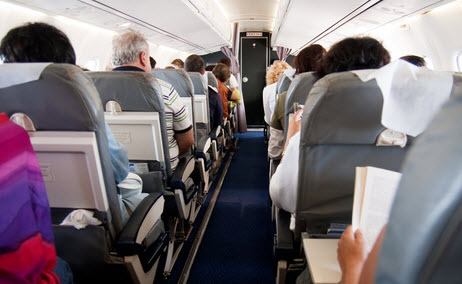 Two international agreements called the Montreal Protocol and the Warsaw Convention stipulate that airlines are held strictly responsible for any injuries or damages that passengers incur. This means that passengers aboard these flights do not have to prove negligence by the airline to be able to file a claim and be compensated for damages. However, these agreements also limit the damages available unless the passenger can prove willful misconduct. A personal injury attorney can explain these agreements and how they affect your case. Lawsuits that require the injured passenger to prove negligent can be complex, and even those involving the agreements above can have special conditions that aren’t easily understood. Having an experienced attorney on your side can help you decide the best course of action for your case. The Florida attorneys at Leifer Law Firm have decades of experience helping clients handle personal injury cases. Contact us today to schedule a consultation if you or a loved one has been injured or died as a result of an aviation accident.